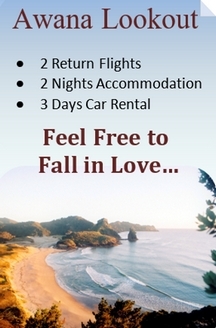 Whatever you’re looking for during your Great Barrier Island visit, we are here to ensure you find it…in comfort and style. Beautiful bush-walks, kayak adventures, a good soak in the natural hot springs even an exhilarating blast on ‘Crazyhorse’ our 3-seater chopper style trike…. It’s all just a phone call away. 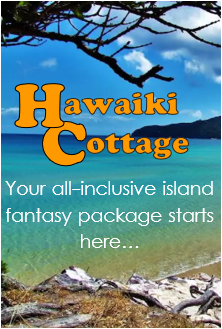 Whether you’re on your own, with a small group or part of a large tour party we can put together a unique island experience for you. A typical full day tour includes museum and art gallery visits, spectacular photo opportunities, beach and bush walks, picnics and refreshment stops. You’ll really enjoy the friendly and informative commentary as we explore Tryphena, Medlands Beach and Claris… Take a walk along Awana Beach while we ‘boil the billy’ for lunch. 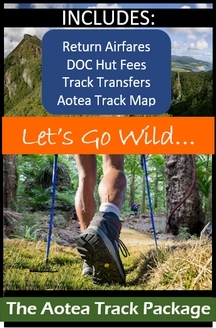 We’ll stop off at the Windy Canyon for some breathtaking views; explore Port Fitzroy and Harataonga Beach. Enjoy a coffee break at Great Barrier Lodge on the beautiful Whangapara Harbour or a glass of wine at Mount St. Paul Estate where the view of the Pacific Ocean will leave you breathless. Take a dip in the Mermaid Pool or enjoy a soak at the Hot Springs. How about a kayak excursion down Kaitoke Creek for lunch on the beach? The possibilities are endless. Give us a call and together we’ll create a tour to suit all your requirements. Enjoy a BIG day out on the Barrier. We visit all the main attractions and the special places that no-one else knows about. 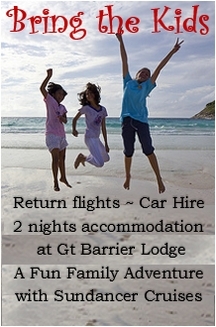 Pick-up and drop-off at your accommodation included. Fun map and interesting commentary provided. 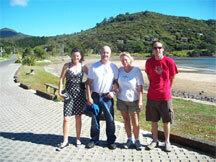 Would you like to check availability for a Full Day Tour of Great Barrier Island? 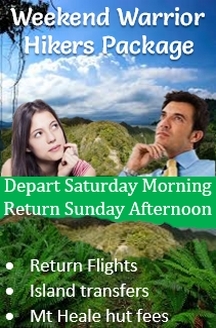 When would you like to have your Island Tour? 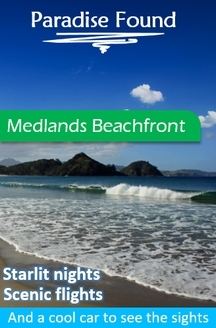 Go Great Barrier Island Tours specialise in providing island tours and activities for groups planning to stay on the island a little longer. 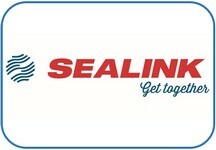 Take a look at our latest e-brochure (see left) and check out our tour itineraries and pricing. Probus groups, senior citizen groups, tramping parties and members of the boating fraternity all enjoy our tour packages. 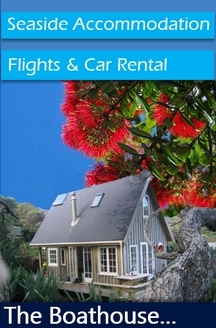 We work with you to create an itinerary to suit and we’ll help you with your transport arrangements to and from Great Barrier Island and your accommodation and dining options etc. 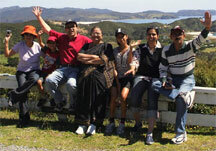 Your group will enjoy the tour and activities each day as we explore the island at a more leisurely pace. Tour highlights include coastal cruises, a visit to the Glenfern Sanctuary, museum and gift and craft shop visits, and for those who dare…. 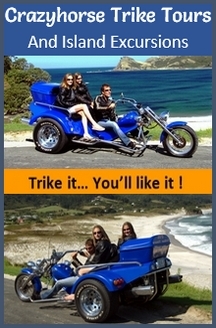 a ride on ‘Crazyhorse’ our 3 seater chopper style trike! We can arrange for lunch at a wide range of eating establishments or take delicious packed lunches with us and pull up at a beach or park of our choice for a relaxed picnic. We’ll take care of all your on-island transport, airport and wharf transfers, and restaurant and/or activity transfers etc. 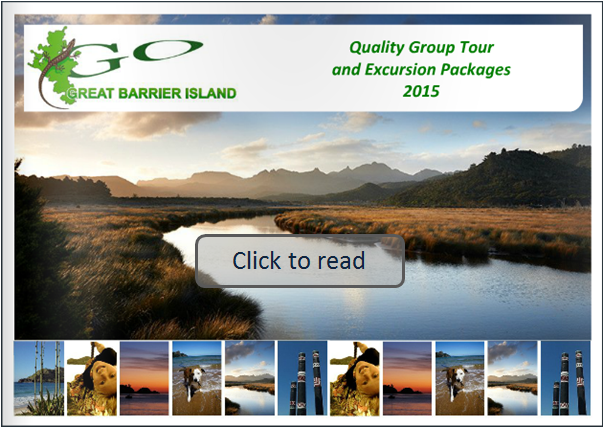 Would you like to check availability for a Multi-Day Tour of Great Barrier Island? When would you like to begin your Multi-Day Island Tour Package? This one takes some beating. 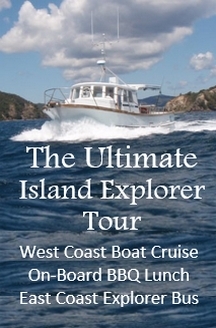 Imagine cruising up the beautiful west coast by boat, exploring the private and secluded bays and in-lets on the way. Dolphins on the bow and the sun on your face as you make your way up through the Broken Islands and into the stunning Port Fitzroy harbour. 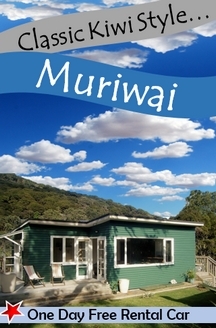 After lunch, we meet you at the Fitzroy wharf and we begin the road tour back down the east coast of the island. We can explore the Windy Canyon, check out Harataonga Beach, (home of the Castaways) and take a walk along Awana Beach, Great Barrier Islands own Surfers Paradise. You’ll enjoy the interesting commentary as we continue south – with breathtaking views of Palmers Beach, Kaitoke Beach and Medlands Beach until we eventually arrive back at your accommodation. 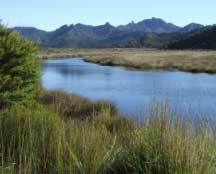 Some groups enjoy including a visit to the Glenfern Sanctuary in Port Fitzroy (see below) at the end of the boat leg of this tour. Why not take a tour up the island with us to Port Fitzroy the home of Glenfern Sanctuary. You won’t be disappointed! 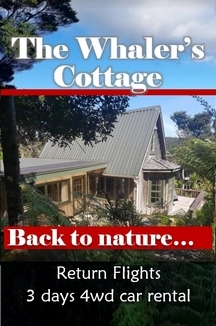 Glenfern Sanctuary offers a rare opportunity to experience native wildlife on Great Barrier Island. The Sanctuary covers an area of around 150 acres in the north of the island at Port Fitzroy and is the result of nearly 10 years hard work. Over 9,000 native trees have been planted and there is an extensive track network. A swing bridge enables visitors to climb into the crown of a 600-year-old kauri tree. Ongoing rat and cat eradication provides a safe habitat for many native species including the black petrel and brown teal, breeding here; also kaka and chevron skink and the recently introduced North Island robin. The guided walk takes around 2 hours and leaves us plenty of time to explore the Windy Canyon and east coast beaches on the way back to your accommodation.